The Chumash Trail trailhead is accessible off of PCH at this link. 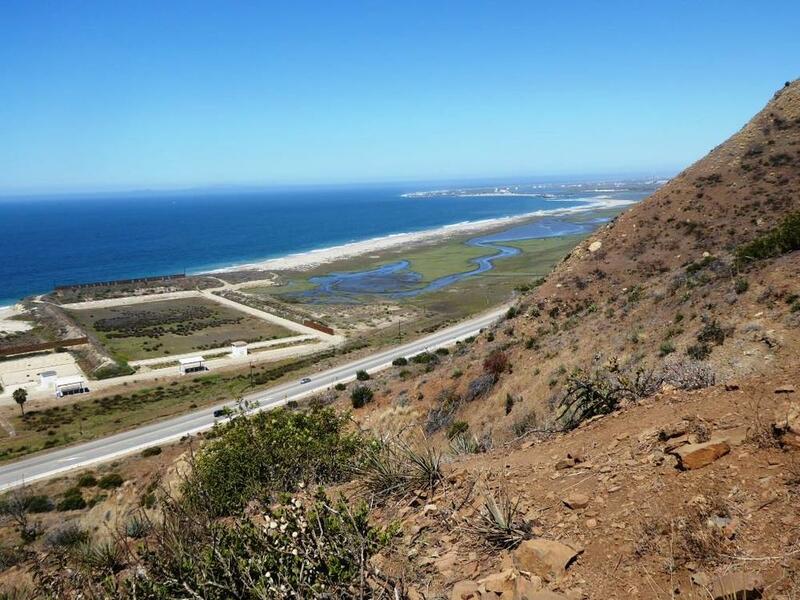 It is at the western tip of Point Mugu State Park, about 2 1/2 miles from where Las Posas Road connects to PCH in Camarillo, and about 10 miles from the intersection of Las Posas Road and Highway 101. It is across the street (PCH) from a Naval Base Ventura County training range. Look for the left turn into a small dirt parking area that has space for perhaps 15 or so cars. This sign was here at one point but was gone for some reason as of July 2016. The first .7 mile of the Chumash Trail is quite rocky and steep. Make sure to wear good hiking shoes and possibly carry a hiking stick, especially if you have bad knees. Dogs are not allowed. My kids did not enjoy this particular hike (ages 8 and 11 at the time). Definitely not stroller friendly. Awesome views and nice ocean breezes, but there is no protection from the sun, so wear sunscreen if it is sunny out. 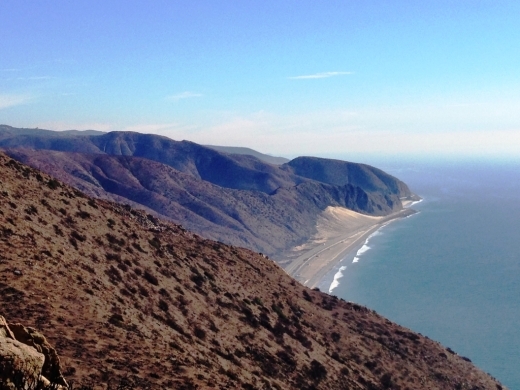 You finally reach a flat area after the first .7 mile, where you can veer left (north) to continue on the Chumash Trail for another .5 mile (option 1) or turn right (east), which leads you to the Mugu Peak Trail (option 2). After the additional .5 mile (option 1) on the Chumash Trail, you reach the La Jolla Valley Loop Trail that circles the La Jolla Valley Natural Preserve. There is a walk-in campground a little over a mile into the hike that technically you are required to reserve and pay for at the nearby Ray Miller Trailhead, which has a lot more parking, etc. The La Jolla Valley Loop Trail is roughly three miles in total if you do the entire loop. 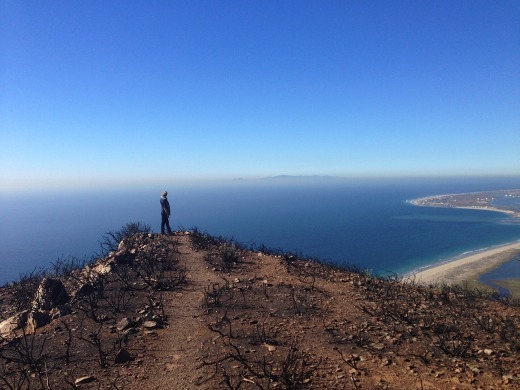 The Mugu Peak Trail (option 2) is a couple miles covering the south ridgeline of Mugu Peak, offering more majestic views stretching across the Pacific Ocean to Anacapa/Santa Cruz Islands and beyond. It connects to the La Jolla Valley Loop trail. Great perspective on the gigantic sand dune below to the south.